Blake got his first tattoo from Cardinal Tattoo and it’s a doozy. 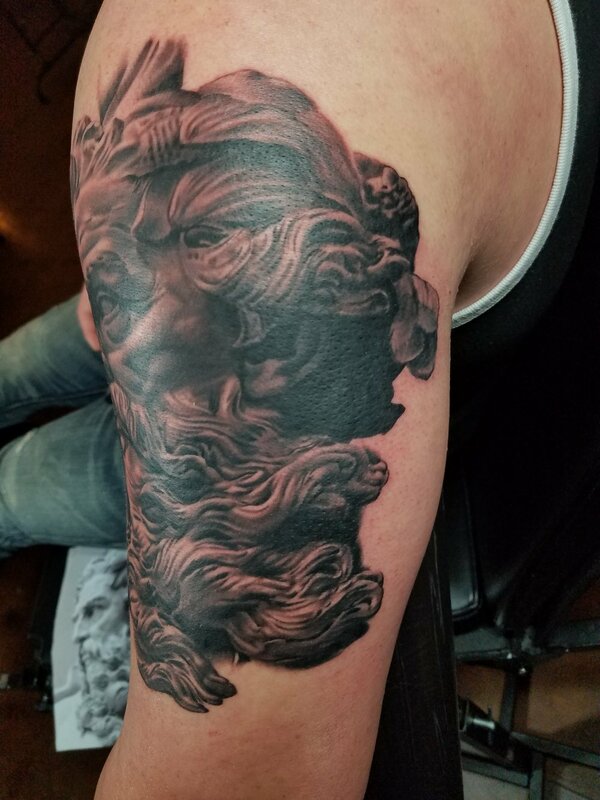 A marine-life inspired black and grey sleeve starts off with a depiction of the god of the sea: Neptune, Triton, in this incarnation he shall be called Poseidon, though there are many more names by which he is called. This particular piece took about 9 hours and was a total steal at Will’s all-day rate of just $600. Visit Cardinal Tattoo soon to book your appointment and beat the tax refund season rush!